Marine ecosystems have many animals that work together. These symbiotic relationships benefit both species. One such mutually beneficial relationship is between cleaner animals and their larger clients: the smaller animals get a meal and the larger ones rid themselves of parasites and dead skin. Recently, volunteer Goldie Freeman took some cool pictures that illustrate this. 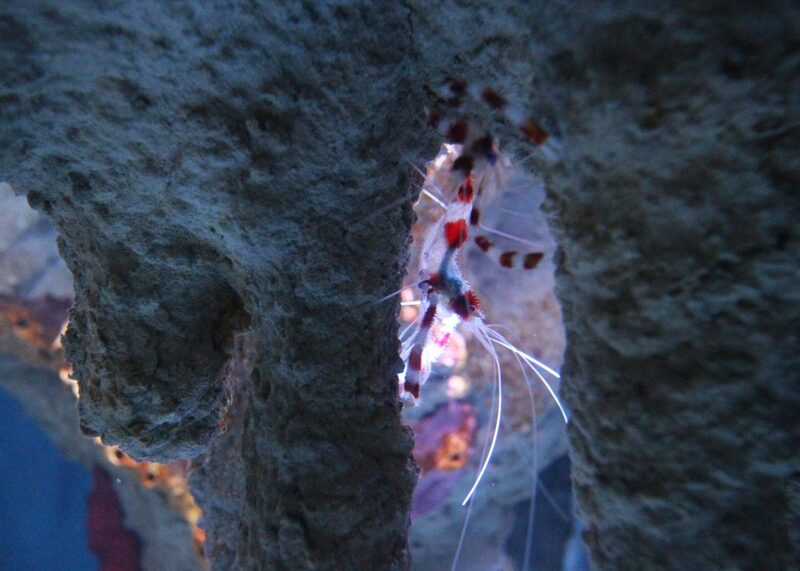 Check out these images of a white-striped cleaner shrimp cleaning one of our goliath groupers! 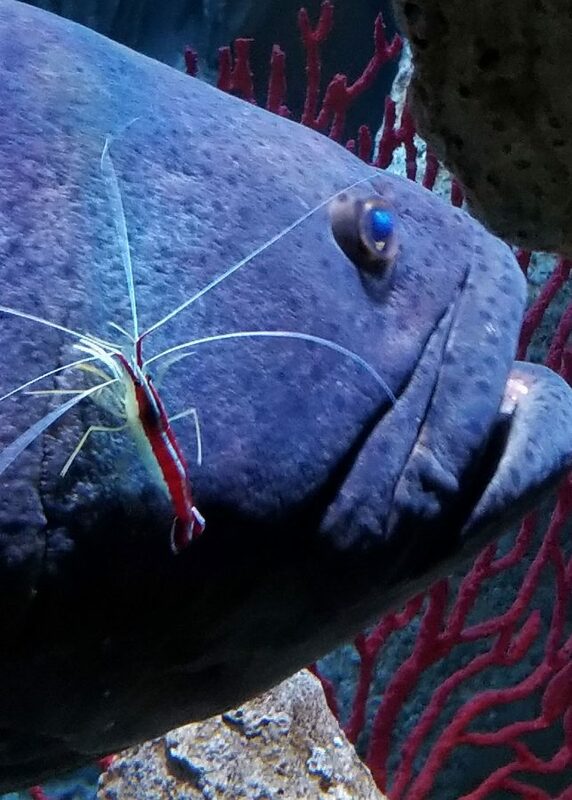 A white-striped cleaner shrimp (Lysmata grabhami) goes to work on a grouper. From the mouth, to the gills, to the big body, these shrimp have a lot of cleaning surface to cover. 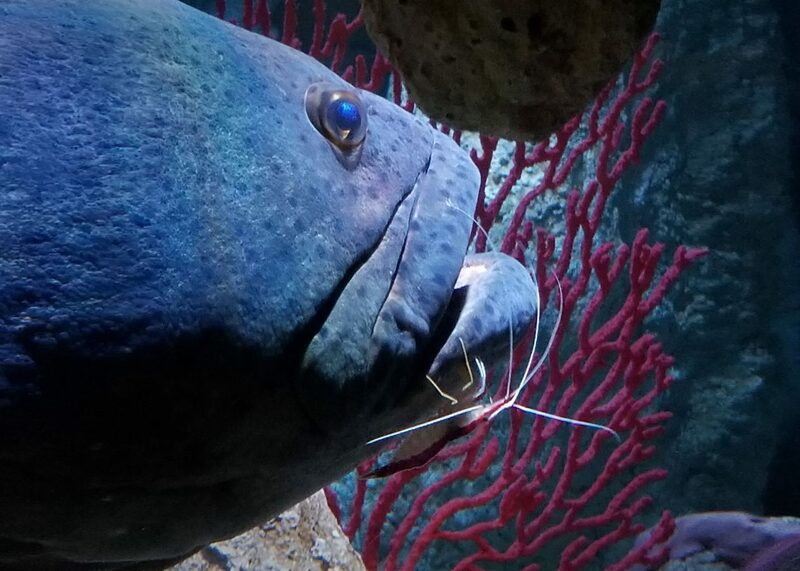 There are species of fish that help animals stay in tip-top shape. 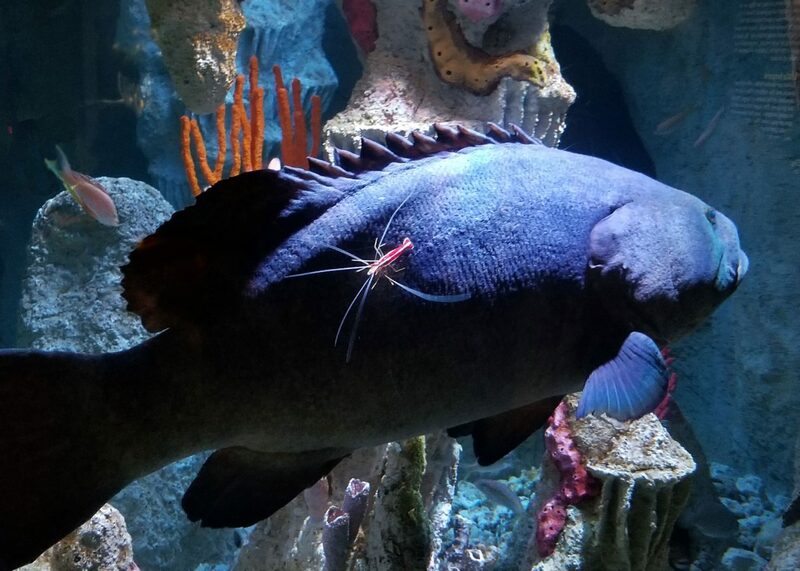 Check out some of these links to see a cleaner wrasse in action—some of these fish were actually hatched and raised here at the Aquarium! 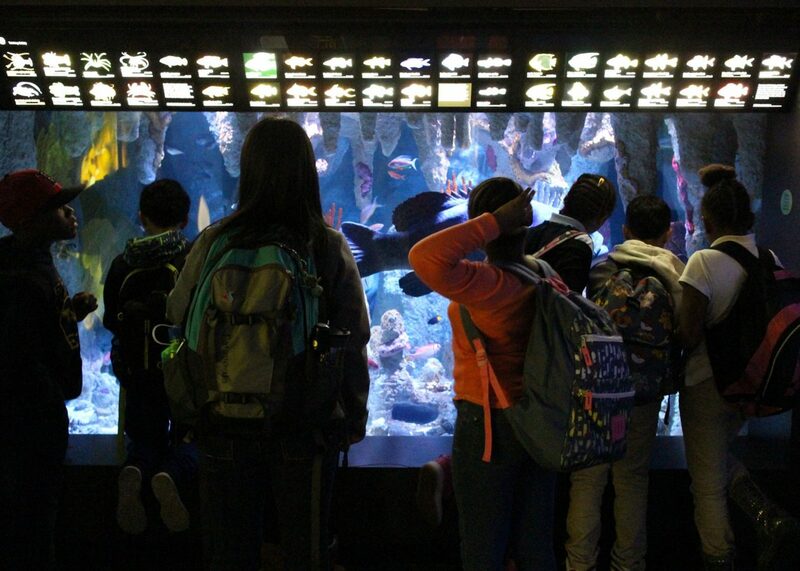 Come admire the Blue Hole exhibit, you might just see the spa in action.